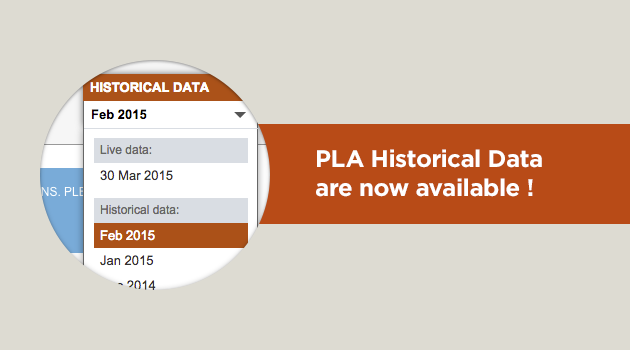 PLA Historical Data are now available! Understanding your e-commerce competitors’ current PLA strategies is crucial in order to stay ahead of them. Analyzing their past tactics is indispensable for avoiding their mistakes and benefiting from their successes. With SEMrush PLA Live Data, you could find out how your competitors are currently promoting their products. PLA Historical Data are now available, and you can learn much more about your Google Shopping competition! Conduct extensive PLA research with Historical Data. But hurry! Complete PLA reports are only available with Business subscriptions. 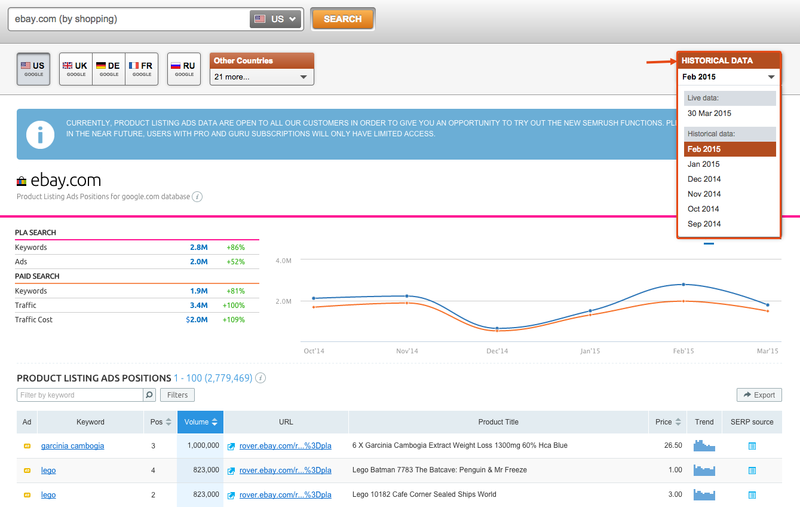 SEMrush PLA Data: View the most expensive and cheapest products and keywords they show up for! PLA Data are now available for Europe, Canada, Australia and Brazil!